Rebecca Davis and Roger Asay have been closely associated for several decades, as artists, life mates, wife and husband and as parents. Early in that period, both emerged independently as significant figures in contemporary art, first in New Mexico and subsequently in Colorado where they moved in 1976, then on to Arizona where they have lived since 1982. The process of arriving at a shared collaborative sculptural expression evolved gradually. 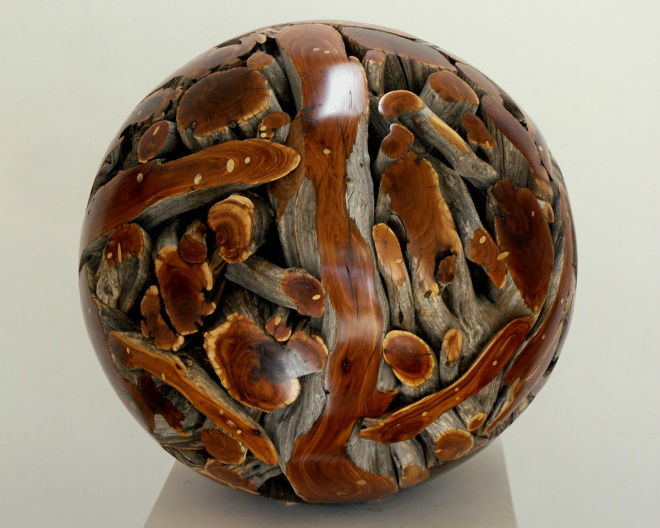 Davis was known for sculptures which celebrated the natural world by presenting unadorned wood, stone and other natural materials in simple ritualistic objects which she often called “shrines.” These works received critical recognition in New Mexico and Colorado and were shown in nearly all major museums in both states. Davis grew up in Denver, Colorado. She began her career as a sculptor shortly after graduating with a degree in anthropology from the University of New Mexico in 1974. From the beginning Davis’ work took on a distinctive character. In her first professional exhibition, the 1975 New Mexico Biennial the Museum of Fine Arts in Santa Fe, her sculpture received the Alfred Morang Memorial Award. The following year she was awarded an artist-in-residence grant for six months in Roswell, New Mexico. Show invitations followed. The University of New Mexico Museum of Fine Art featured her works along with three other American sculptors in a major exhibit in 1977. 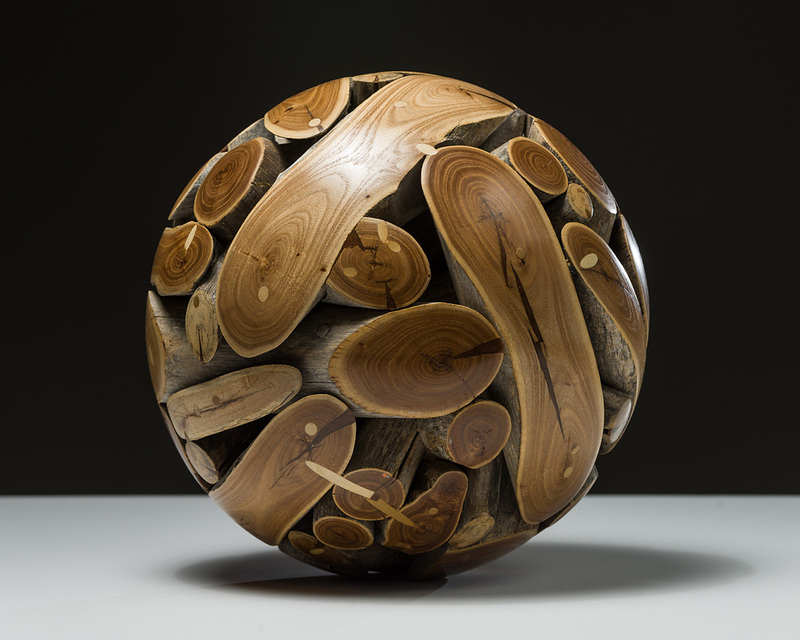 Two pieces were chosen for the Fifth Colorado Annual at the Denver Art Museum in 1978. 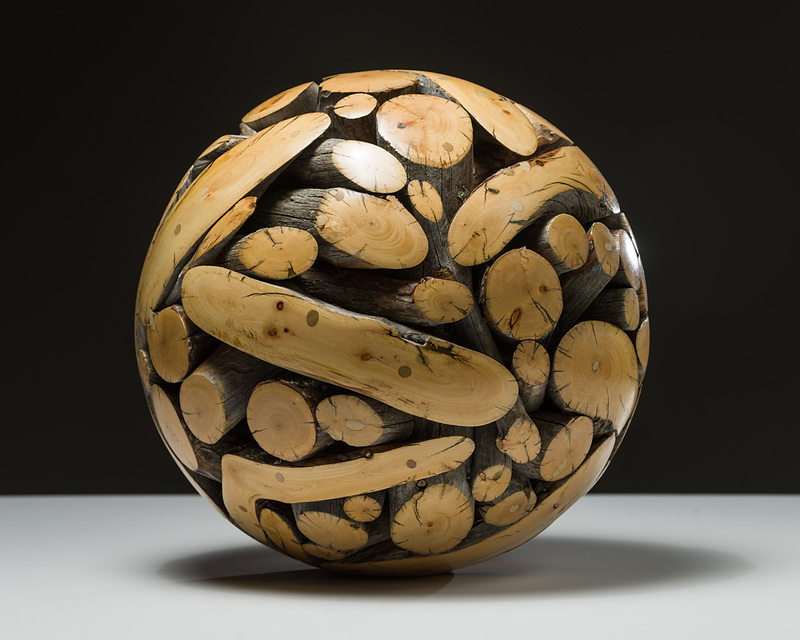 In early 1979 she was among seventeen artists from the state whose works were shown in the Denver Art Museum’s exhibit, Colorado Crafts: 17 Views. Then in 1981 she was honored with a show at the Aspen Center for the Visual Arts. 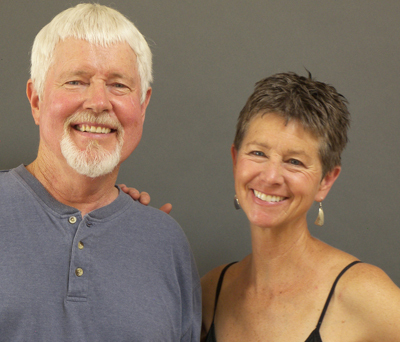 Roger Asay was teaching art at the University of New Mexico when he and Davis met in 1973. At that time he had just completed a transition from painting stripe configurations on geometric, shaped canvases to creating primitivist sculptures made out of bones. Asay was born in Denver, Colorado in 1941, but grew up in Bethesda, Maryland. He studied art briefly in London, traveled through Europe and lived for a year in Paris where he had his first one-man show in 1964. Following a summer of art study in Aspen, he lived in Berkeley, receiving an MA in painting from the University of California and subsequently teaching there for two years. He went on to teach art at the College of Santa Fe and then at the University of New Mexico in Albuquerque in 1973. In 1974 he began experiments with unraveled rope and works in inflated rawhide, both of which were included in a one-man show at Hill’s Gallery in Santa Fe in 1975. In 1979 he was one of seventeen artists from the U.S and Canada whose works were shown in a landmark exhibit held at Cornell University’s Johnson museum entitled Skin Forms: Innovations in Leather.